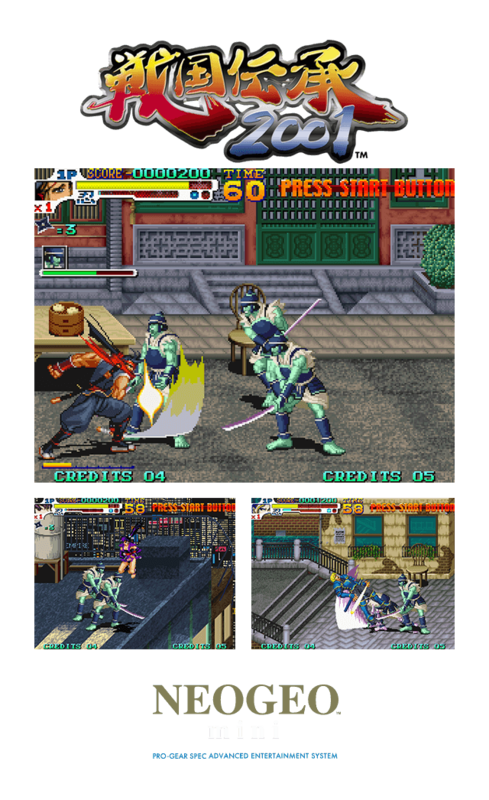 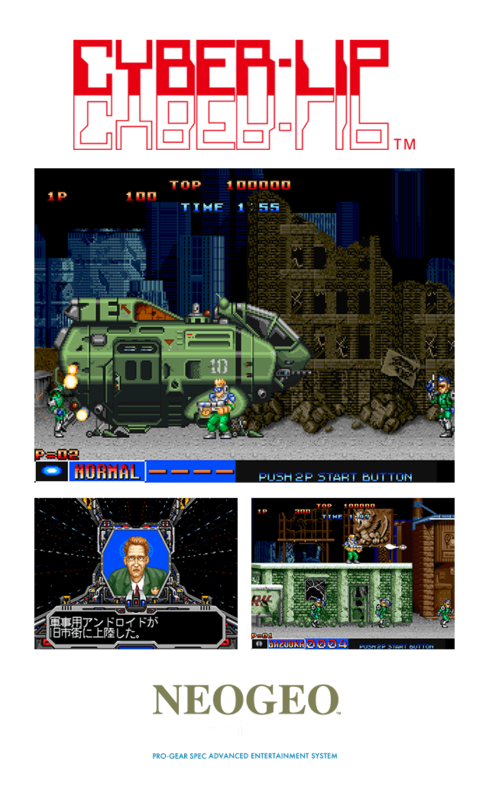 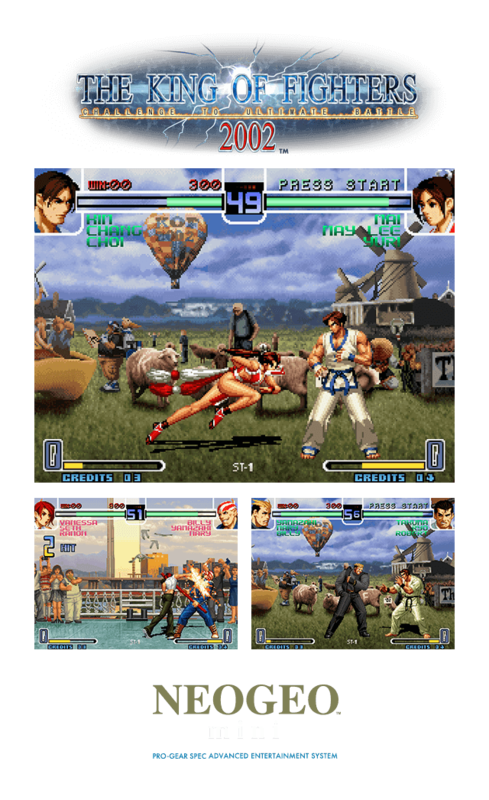 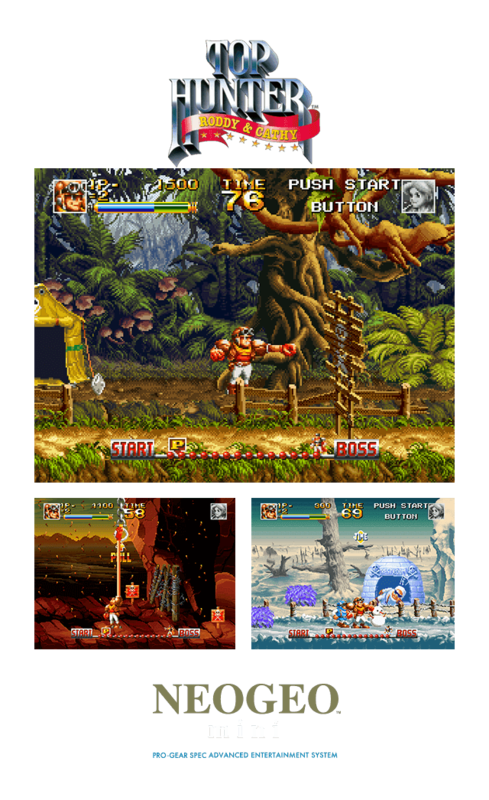 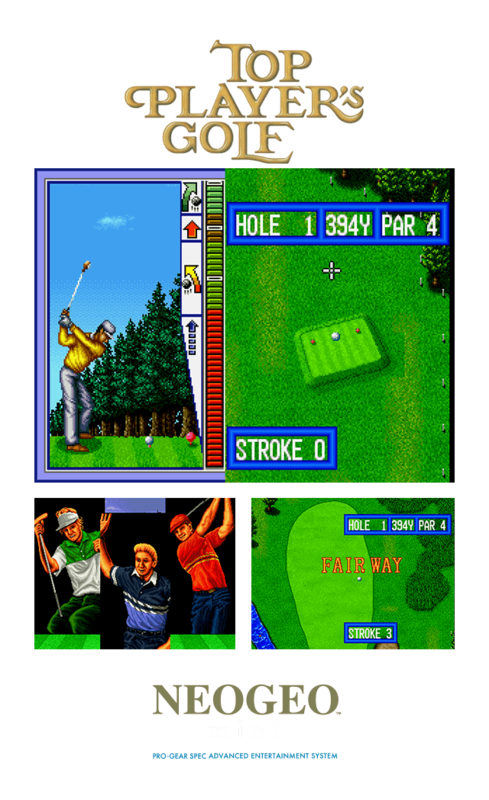 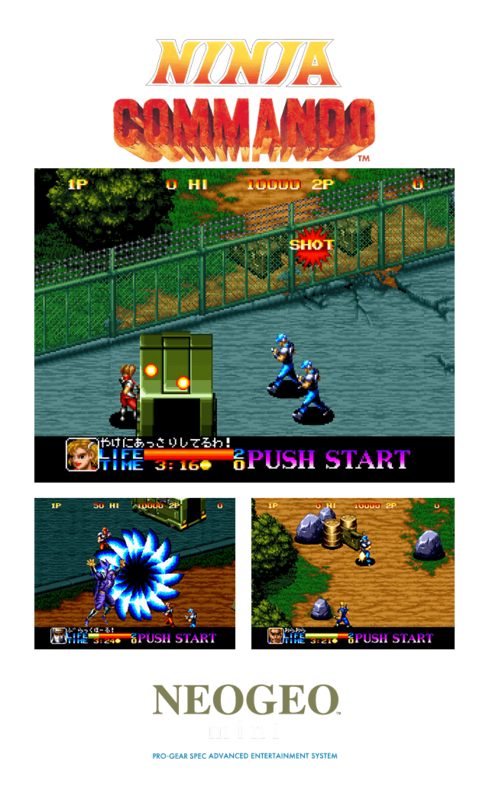 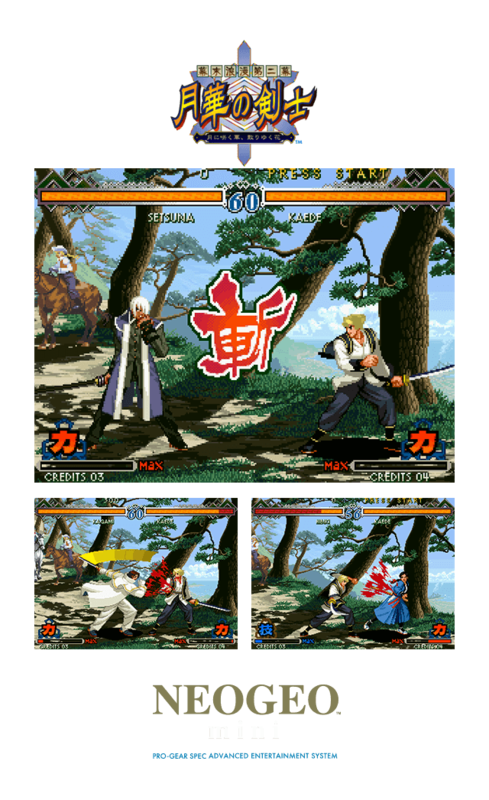 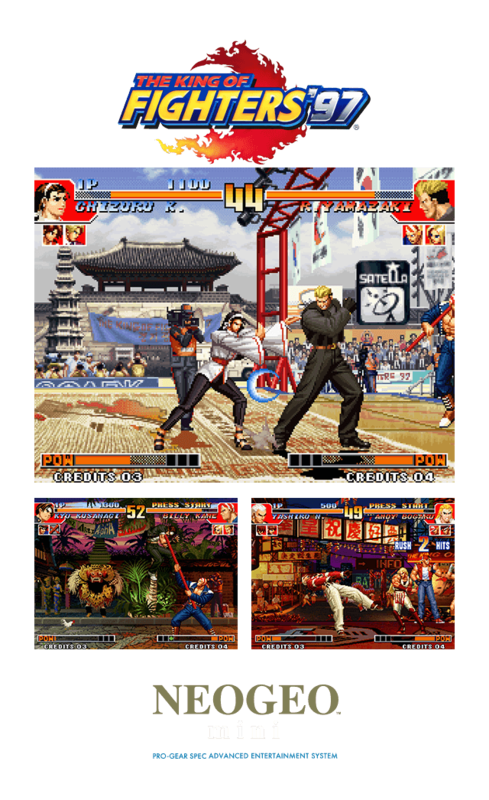 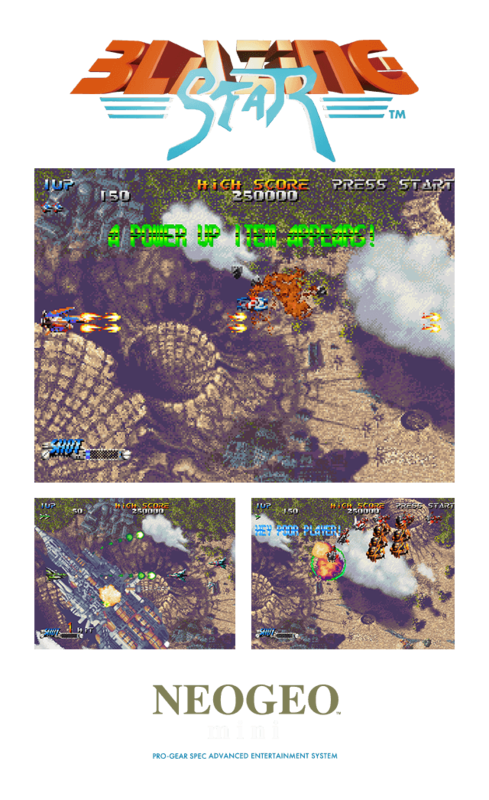 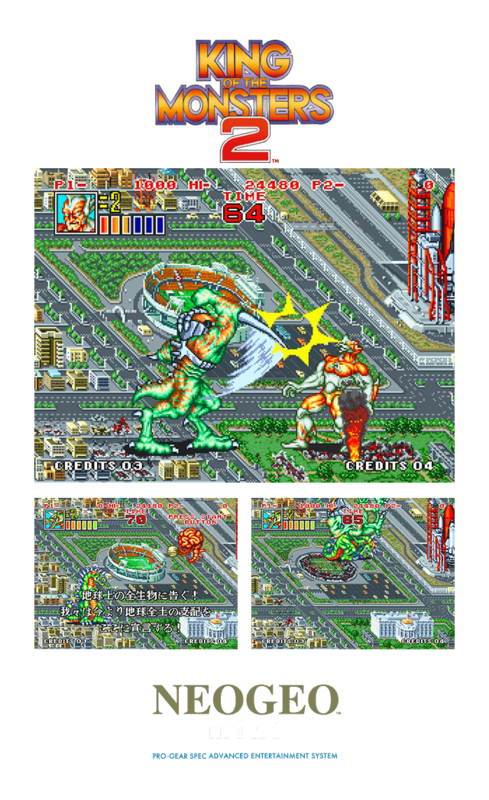 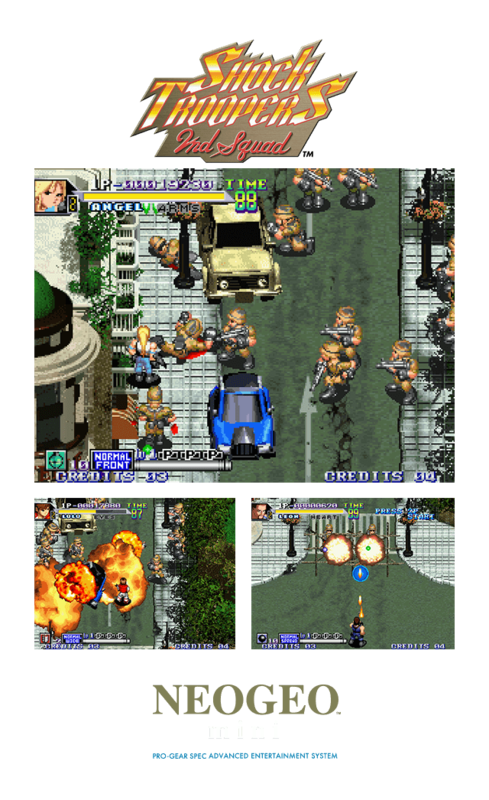 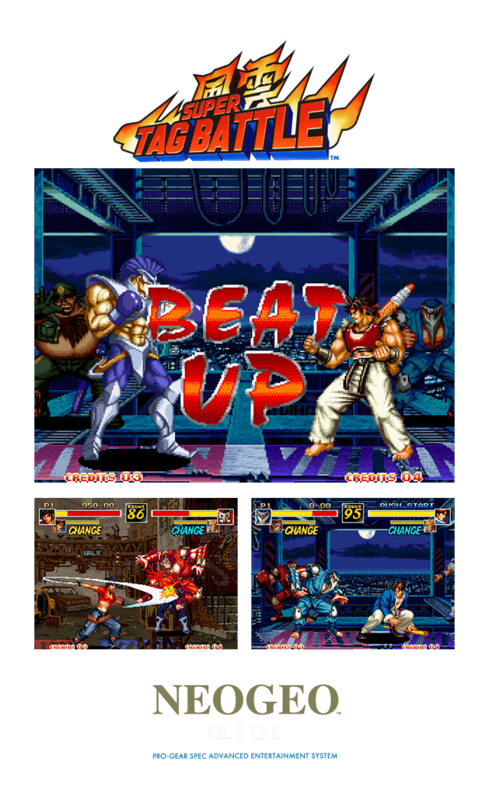 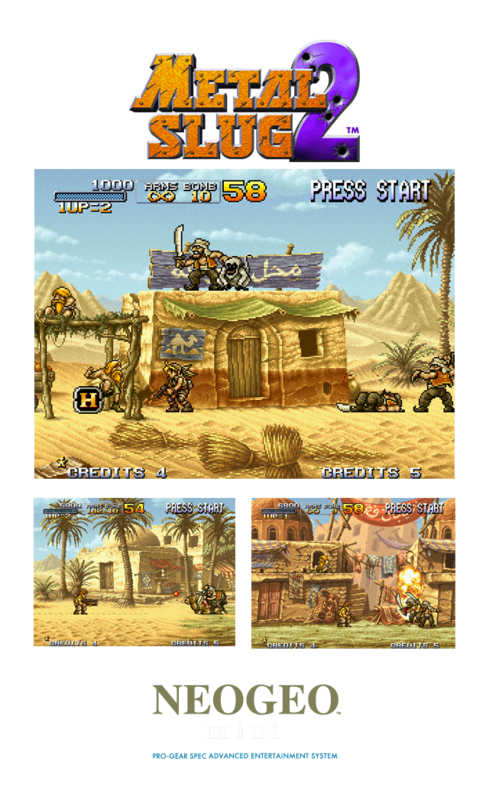 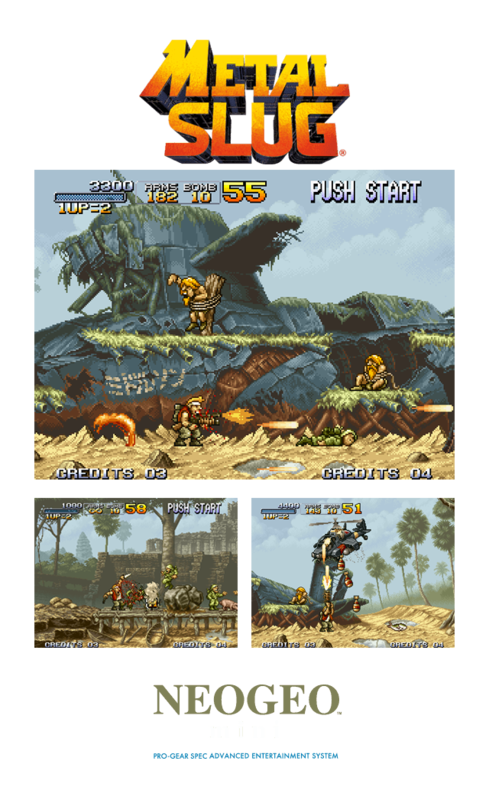 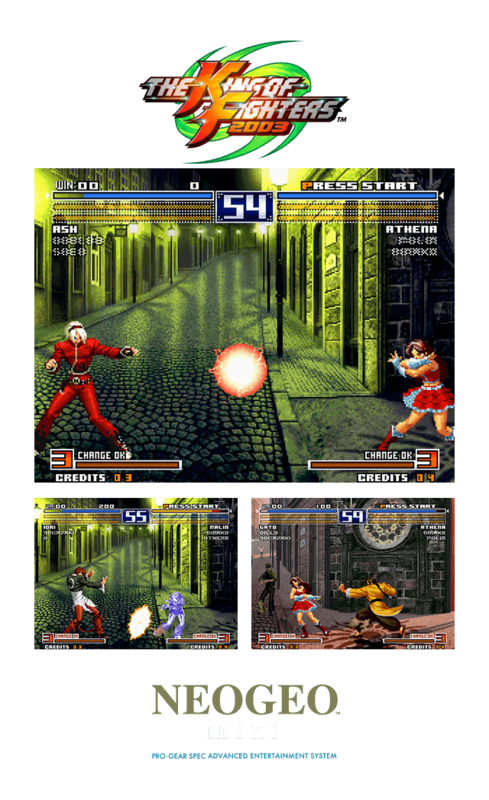 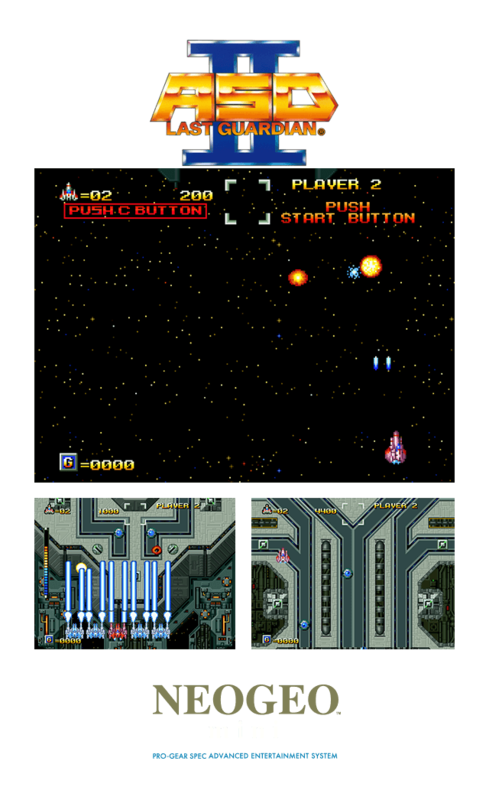 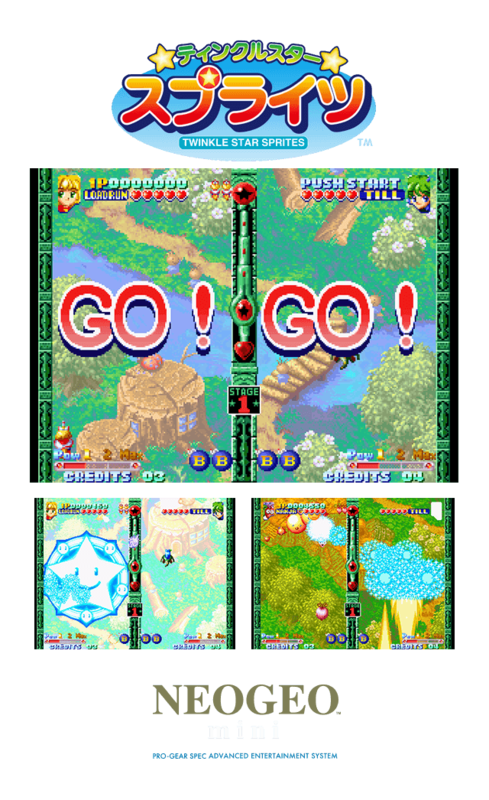 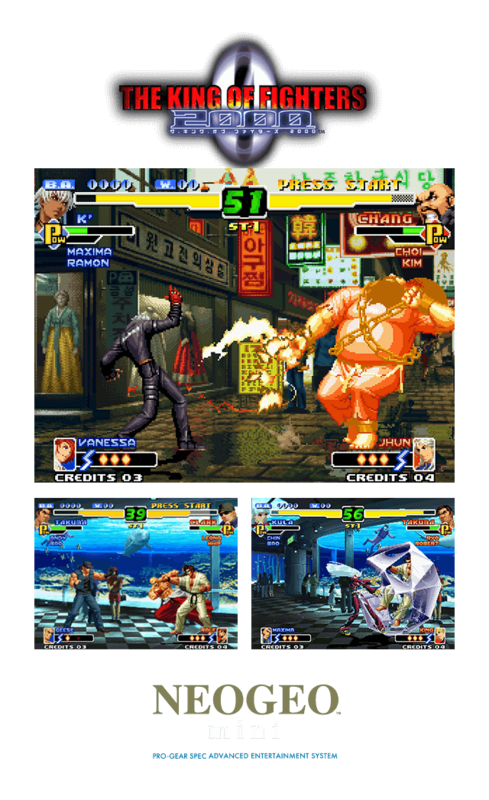 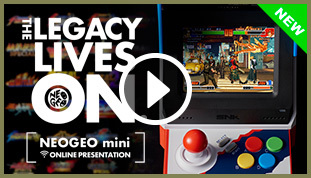 *The NEOGEO mini INTERNATIONAL title lineup is different. 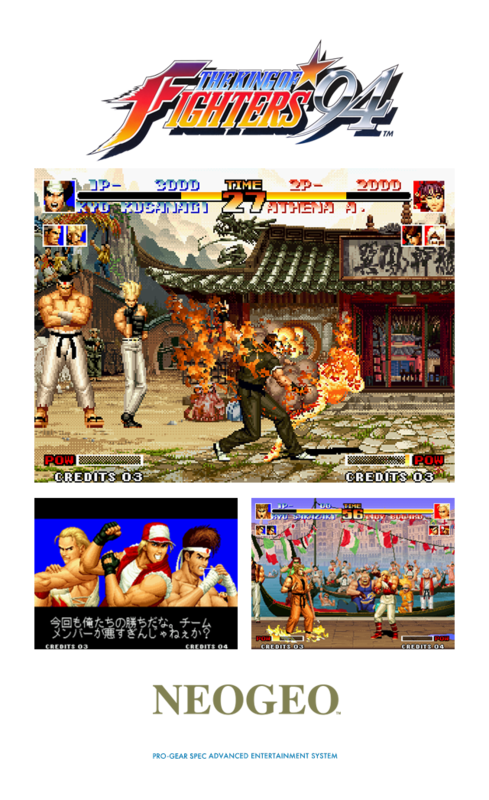 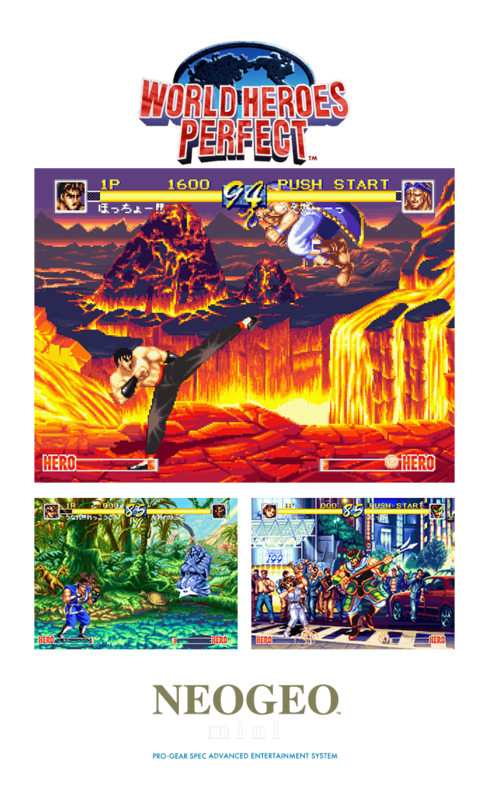 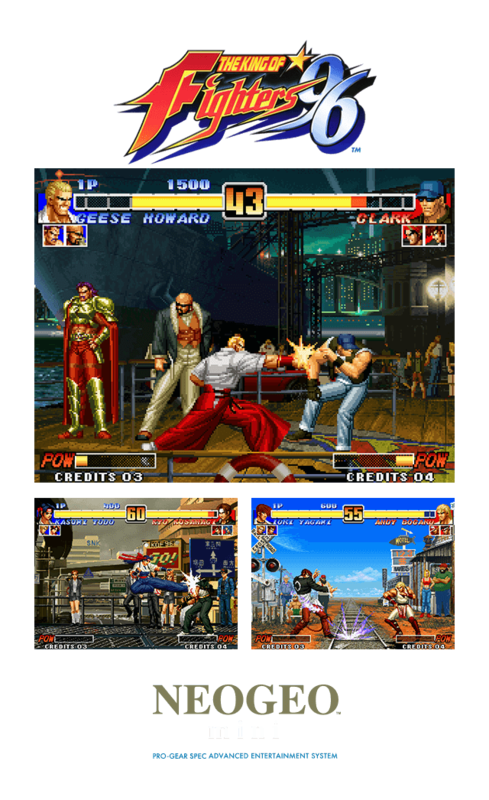 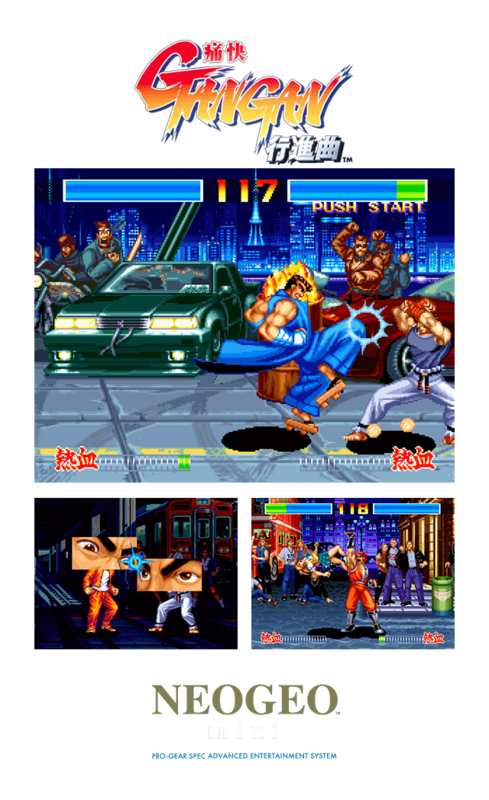 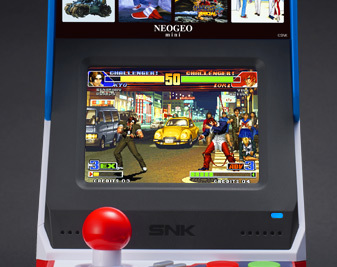 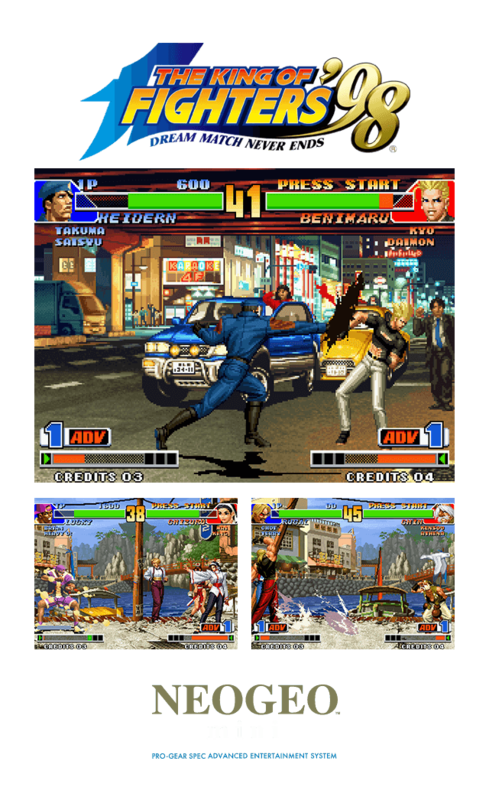 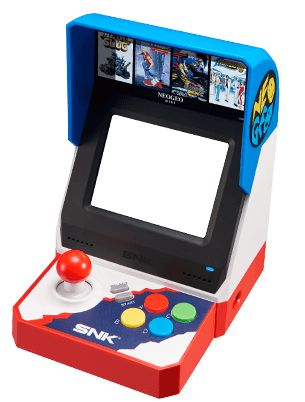 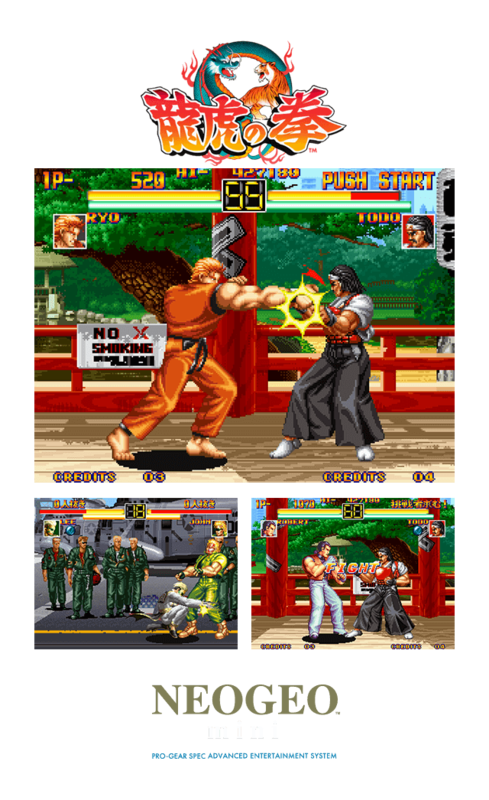 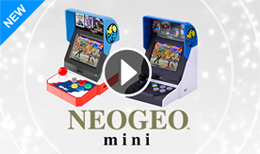 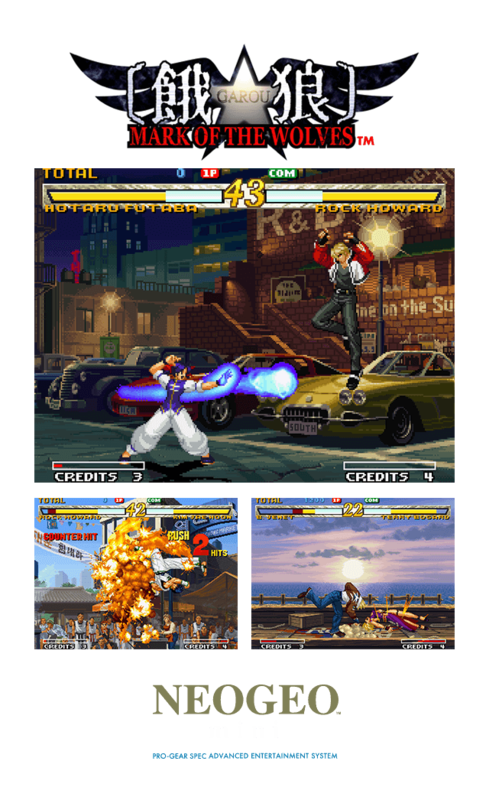 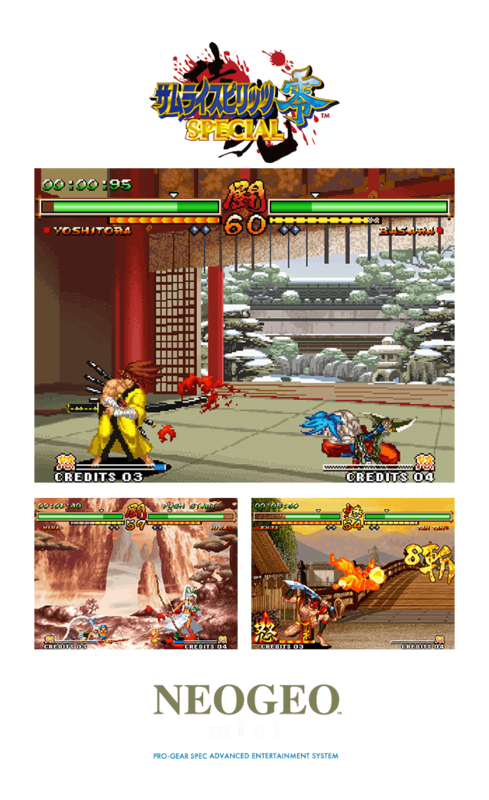 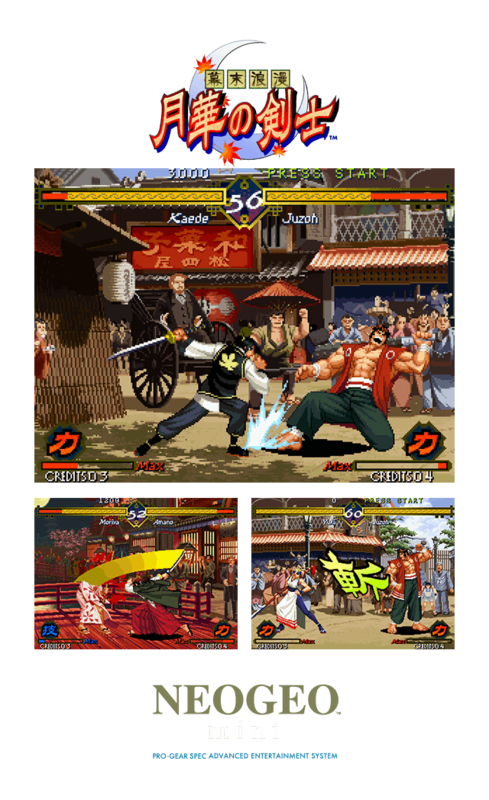 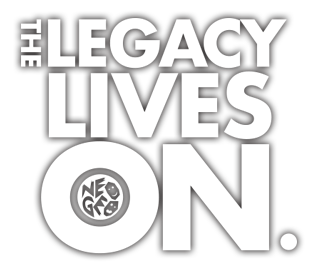 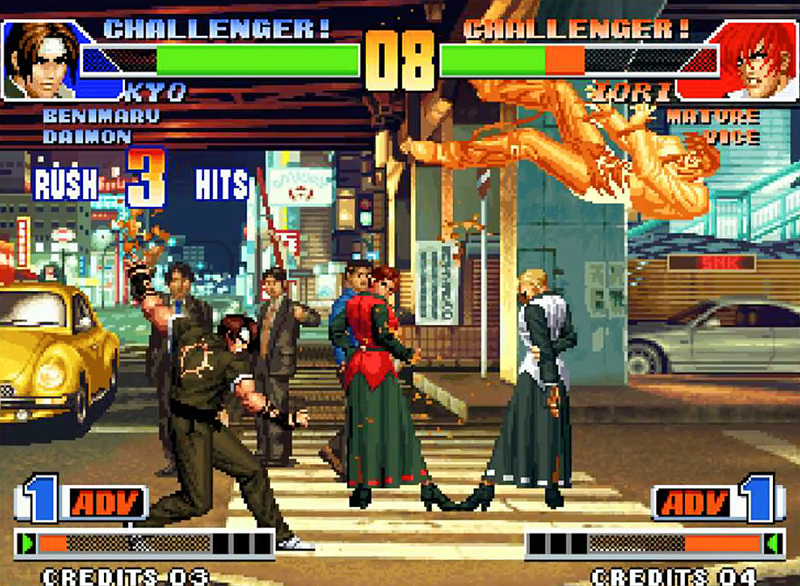 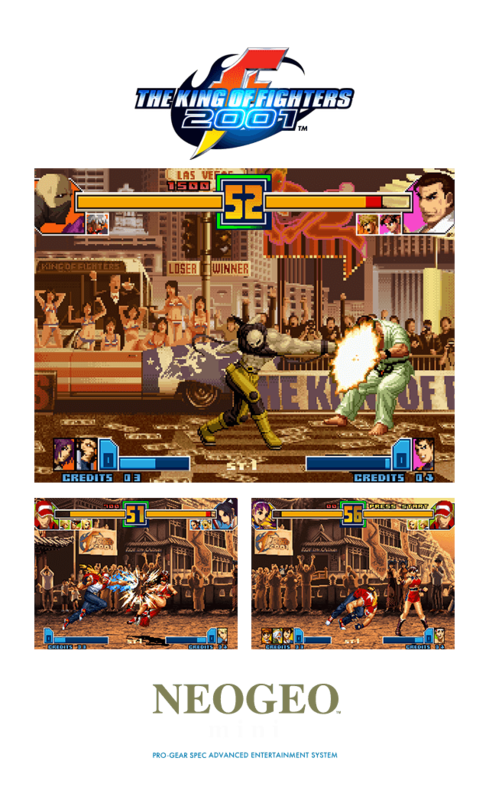 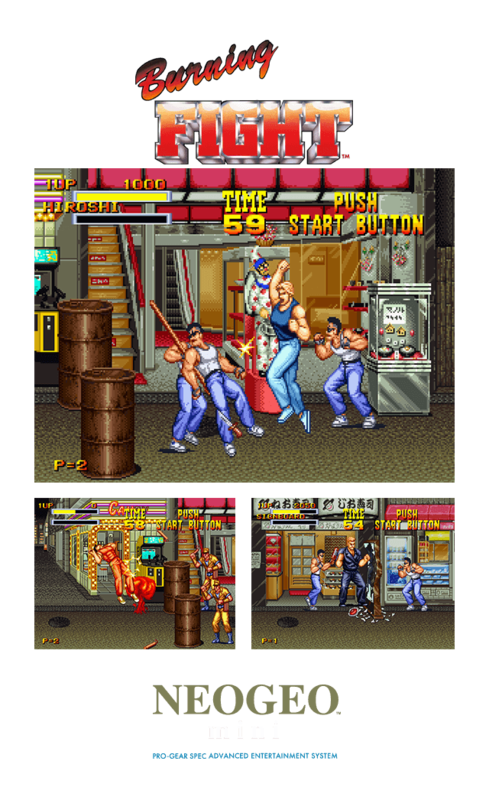 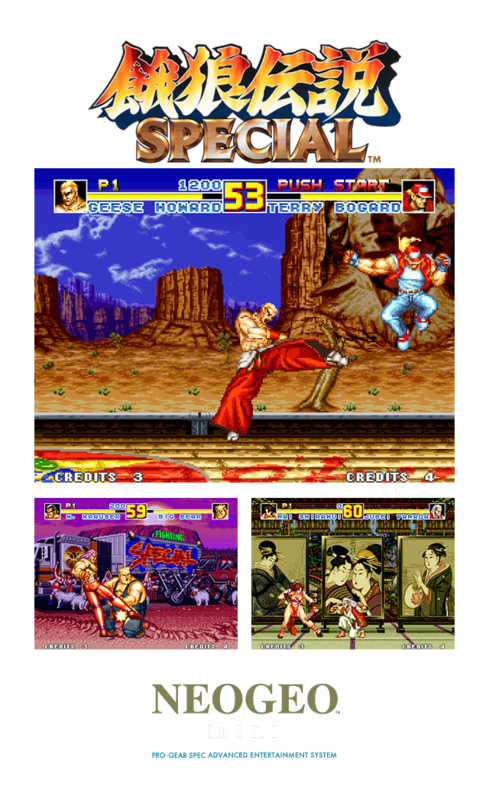 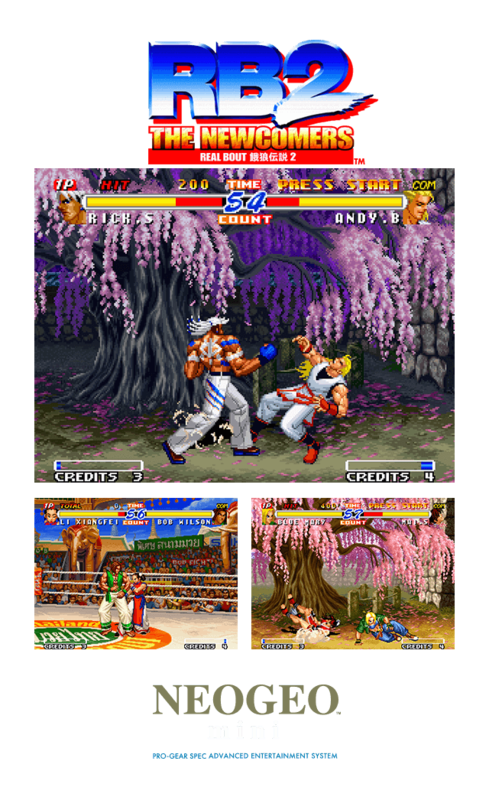 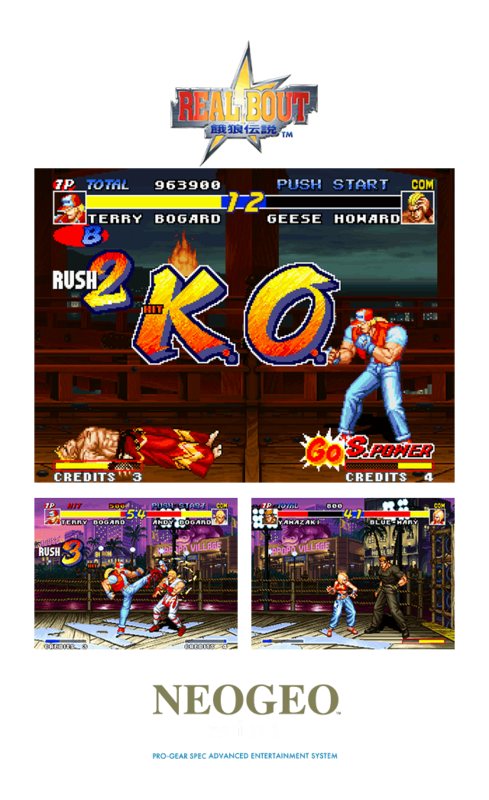 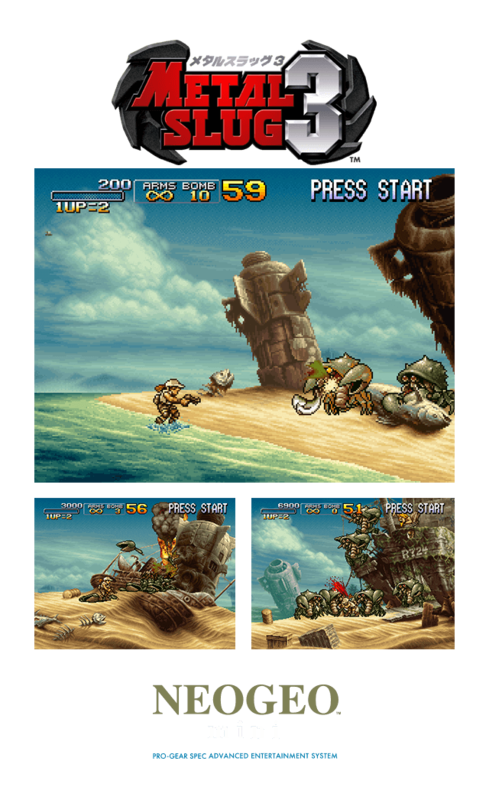 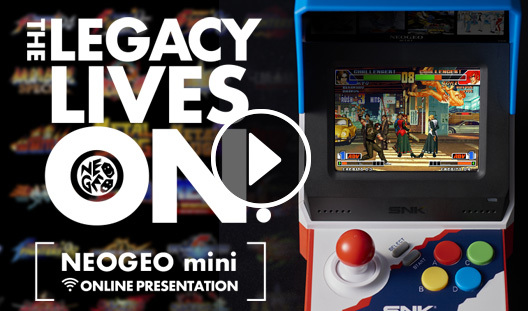 The NEOGEO mini will include 40 legendary and popular titles from various NEOGEO Series such as THE KING OF FIGHTERS, FATAL FURY and METAL SLUG! 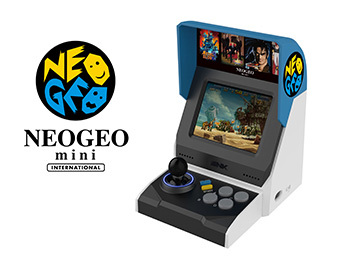 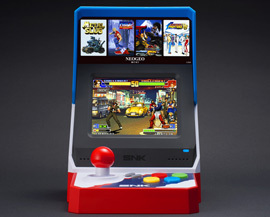 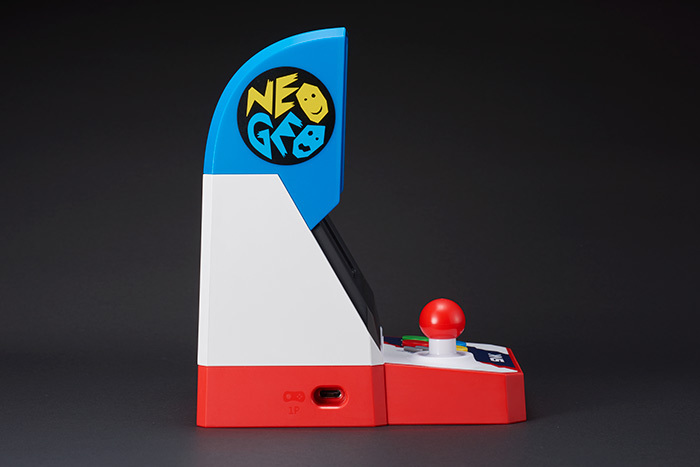 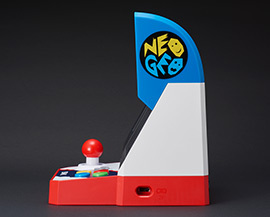 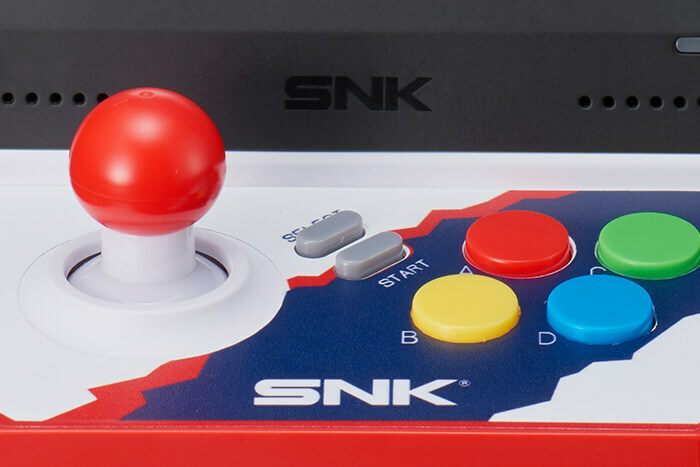 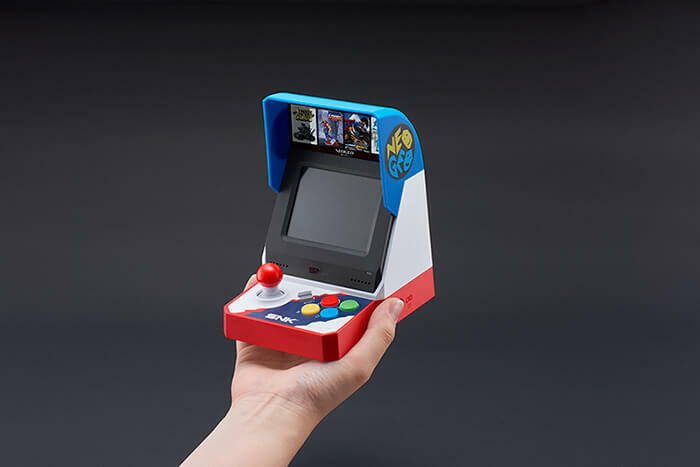 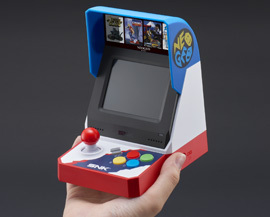 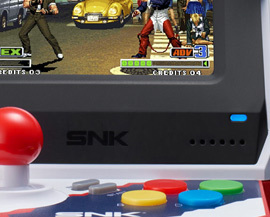 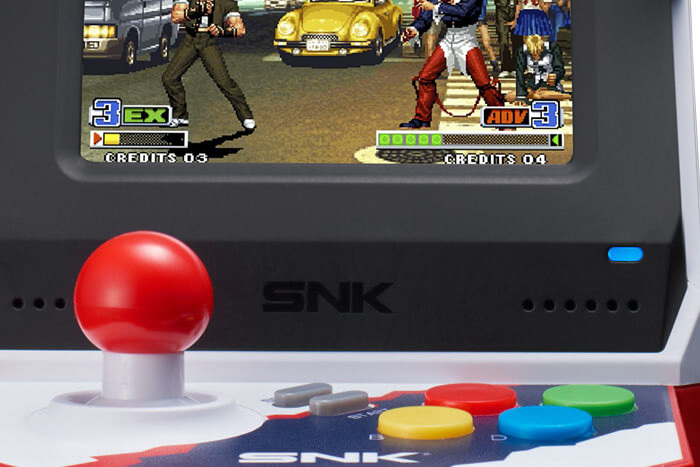 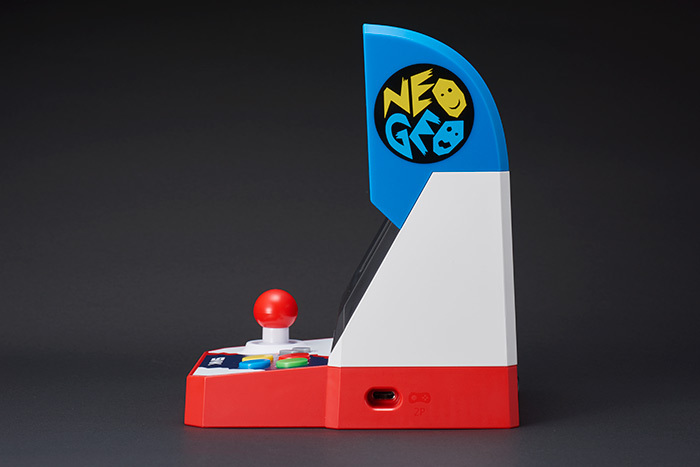 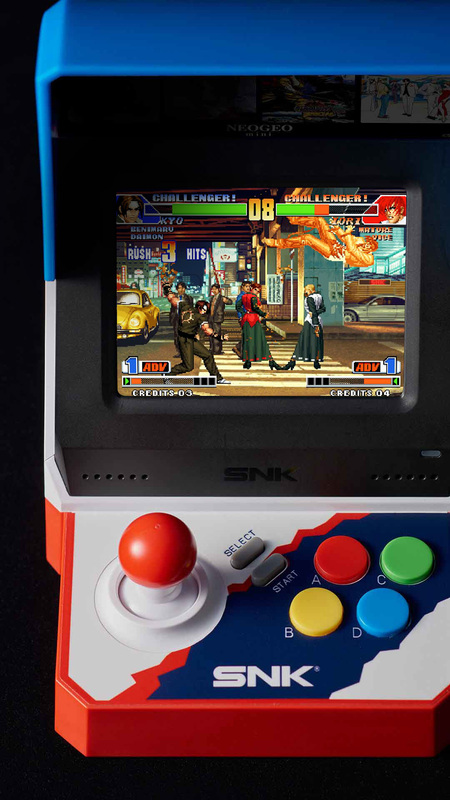 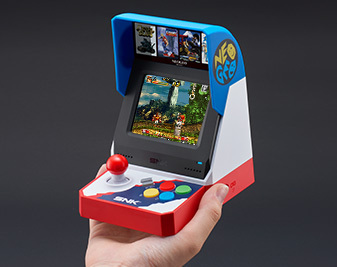 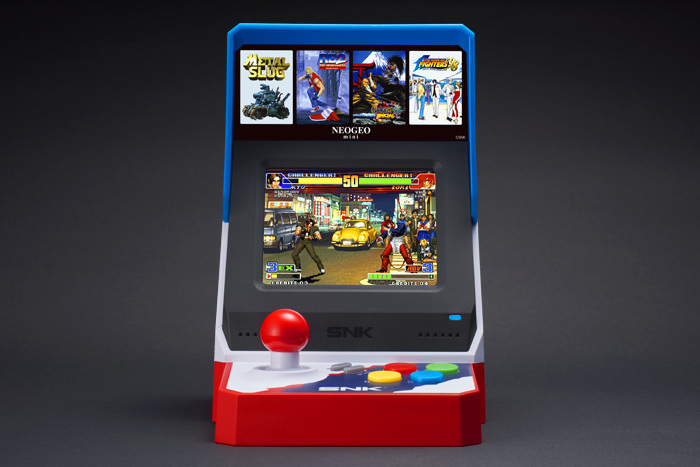 The design of the NEOGEO mini is based on the nostalgic arcade cabinet, and will feature a joystick style controller, stereo speakers, and an 3.5 inch display, meaning the games can be enjoyed with no need to connect to a TV or monitor! 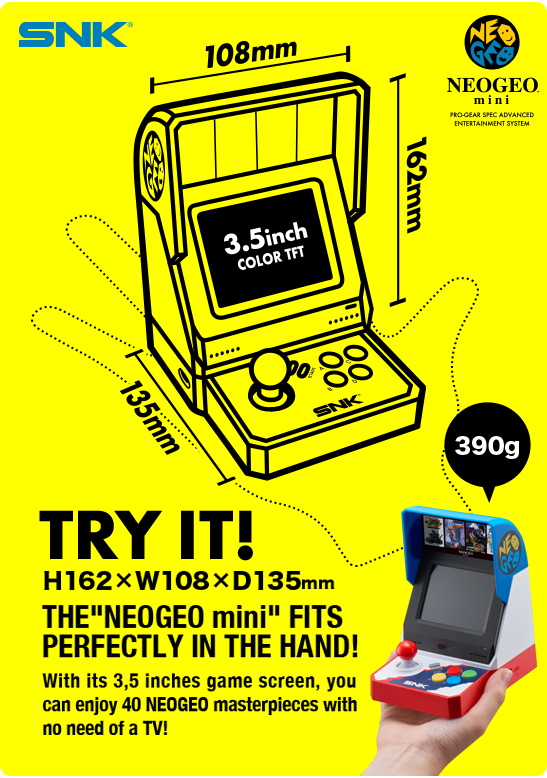 The size of the NEOGEO mini fits perfectly in the palm of your hand（W108ｍｍ×D135mm×H162ｍｍ）, and its weight will be only about 390g! 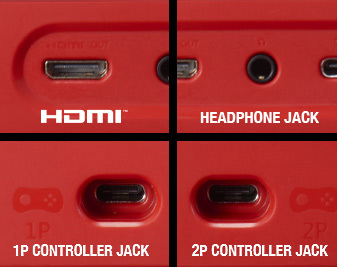 The power supply is compatible with USB cable which means you can connect to smartphone batteries and enjoy your games on-the-go! 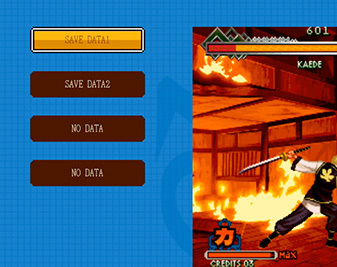 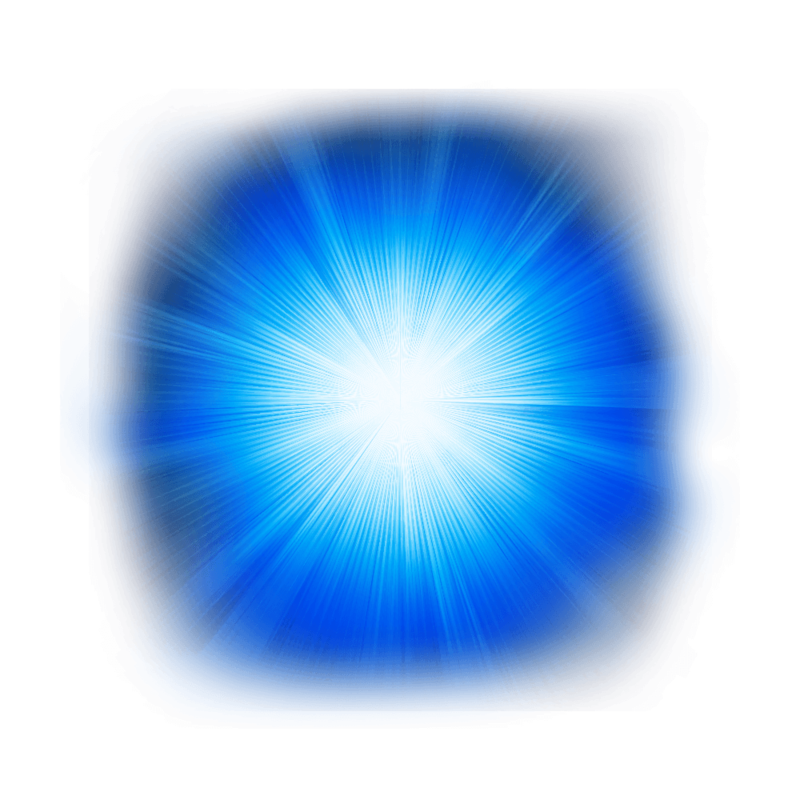  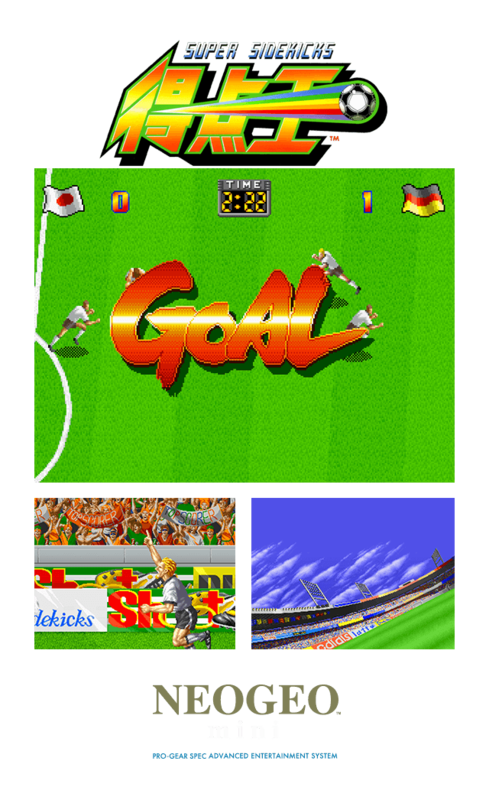 You can save or load the progress of your games anytime by pressing START and SELECT buttons at the same time during the game via the Settings screen. 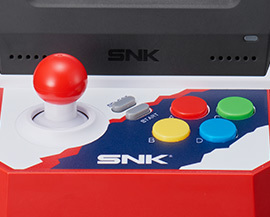 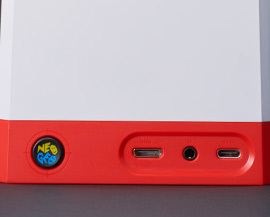 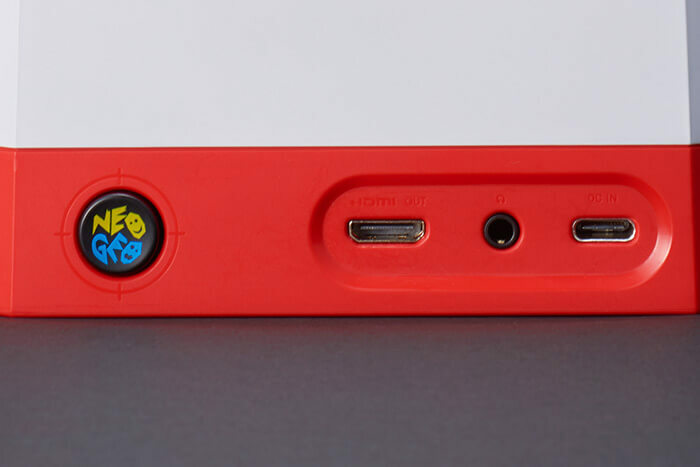 A HDMI connection terminal will be featured on the NEOGEO mini, so that you can play games via connecting to TV or monitor screens as well as featuring two connection terminals for external controllers and a headphone terminal! 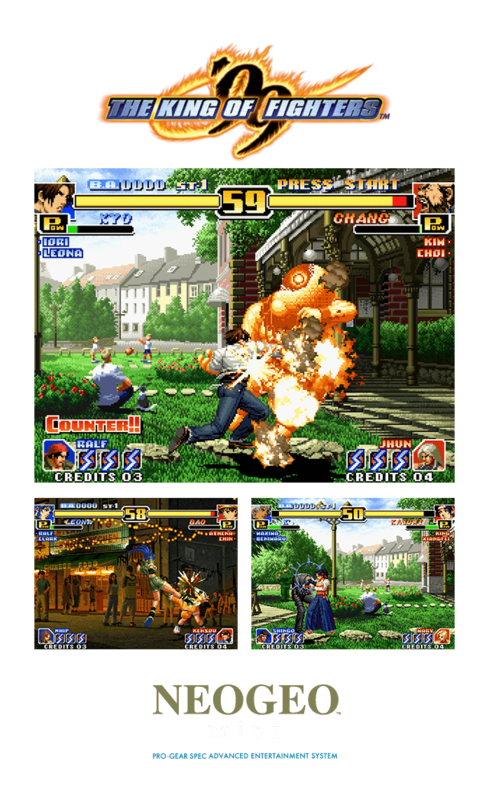  You can play in co-op or battle with your friends! 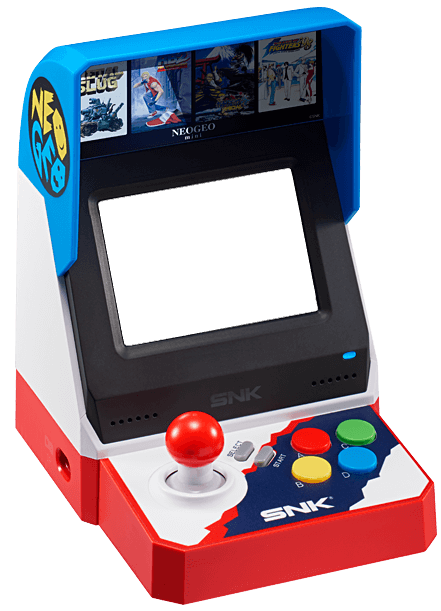 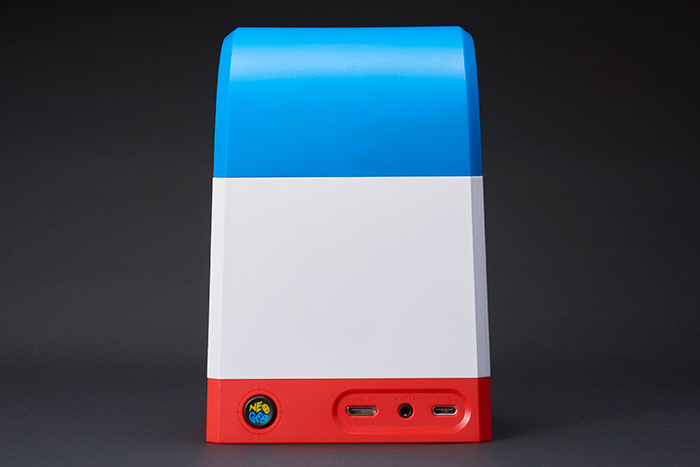 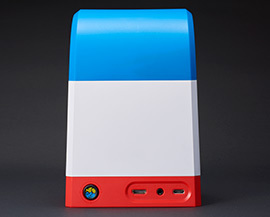 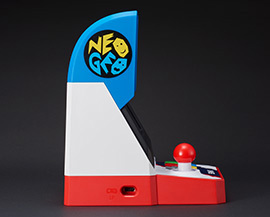 With its blue, white, and red multicolor design, the NEOGEO mini faithfully reproduces the original NEOGEO arcade cabinet that was introduced in Japan in 1990. In addition to this, the NEOGEO mini International, with a brand new black, white and blue design will also be available! 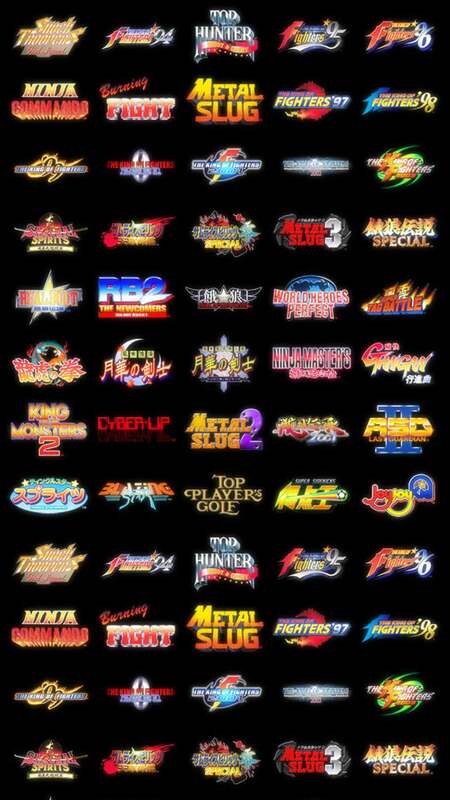 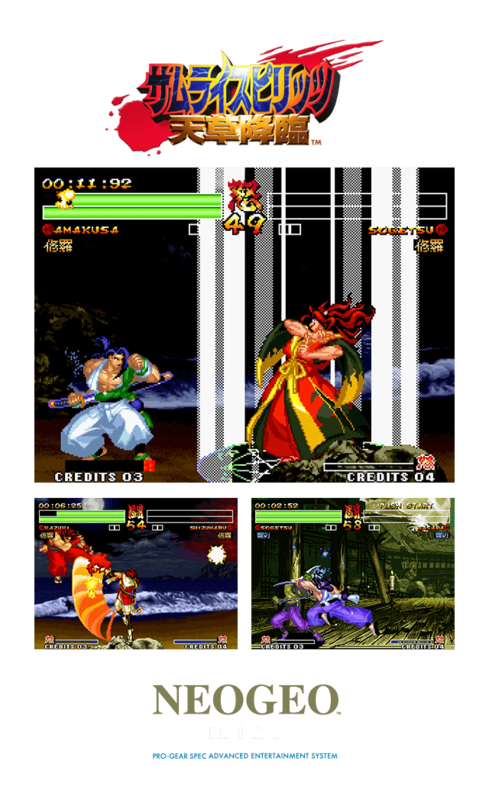 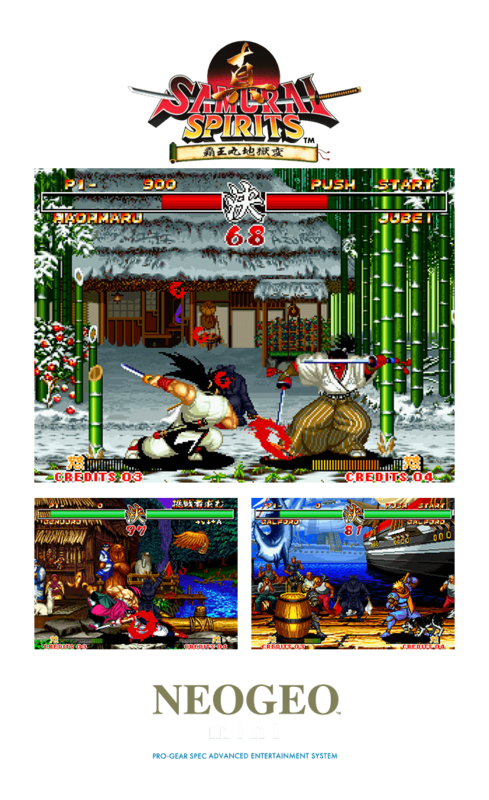 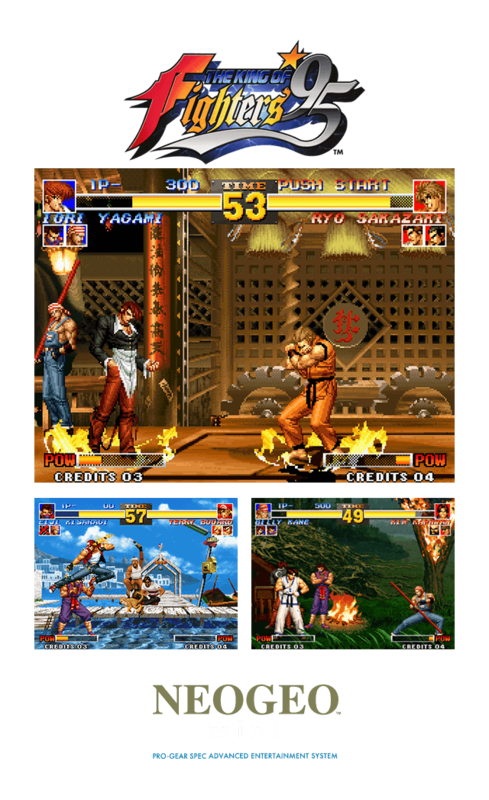 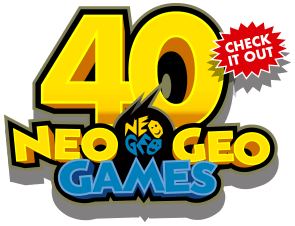 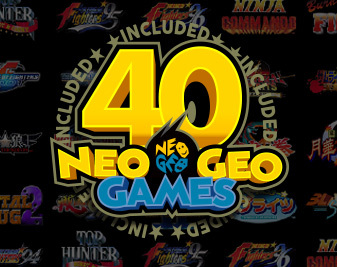 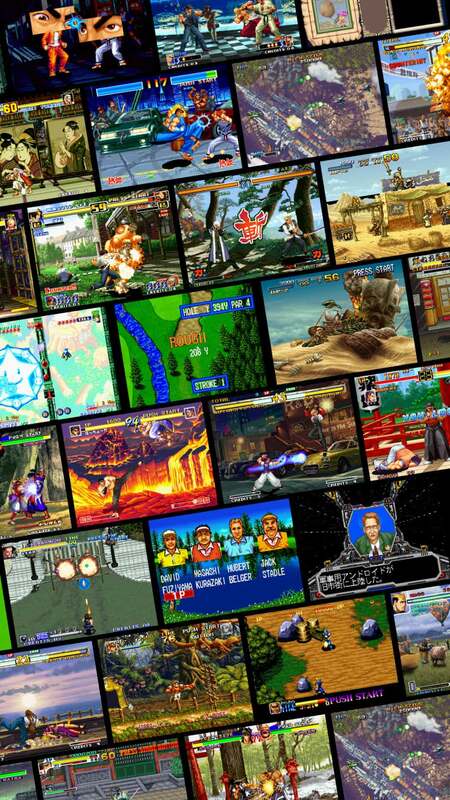 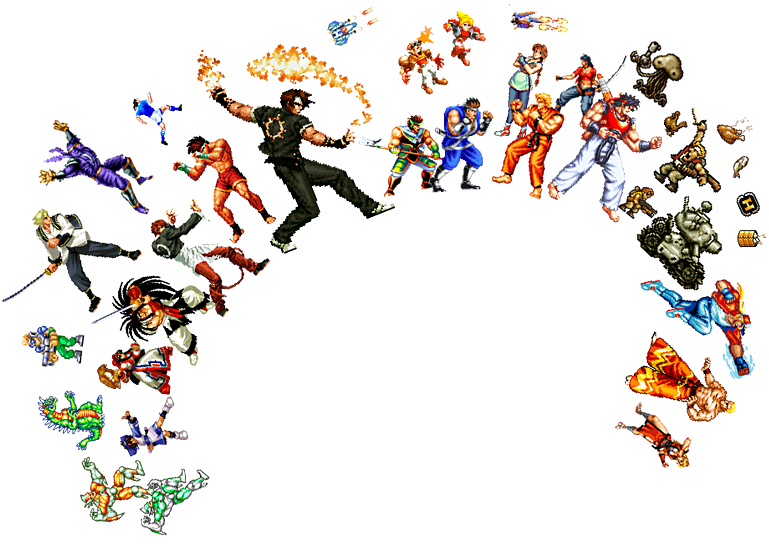 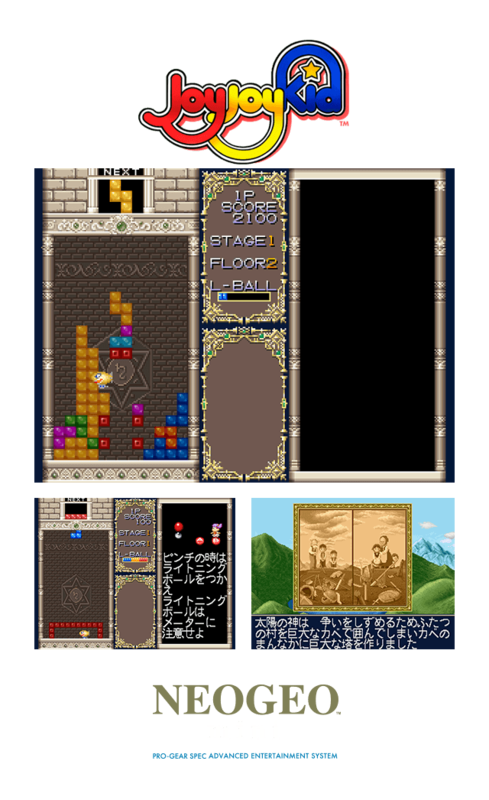 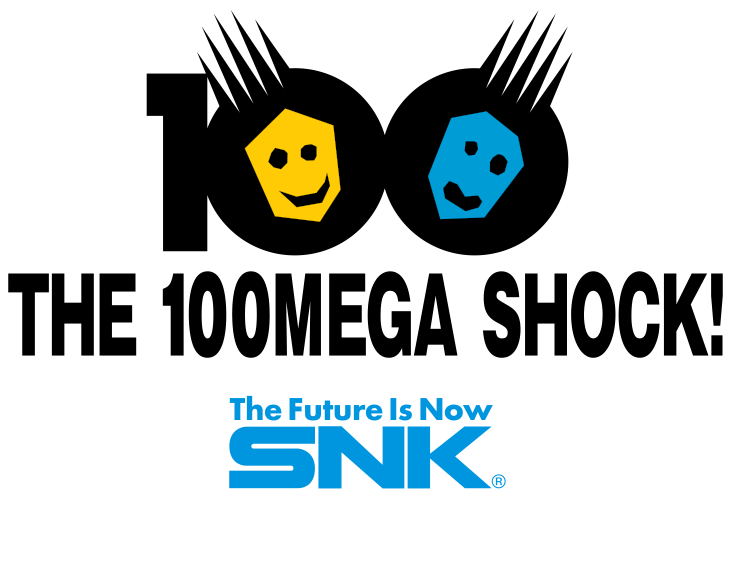 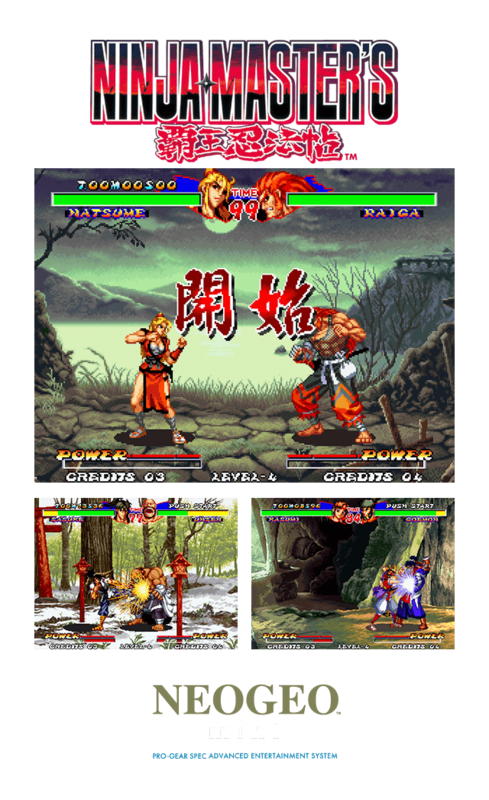 14 of the 40 titles in the INTERNATIONAL will be different from the original NEOGEO mini. 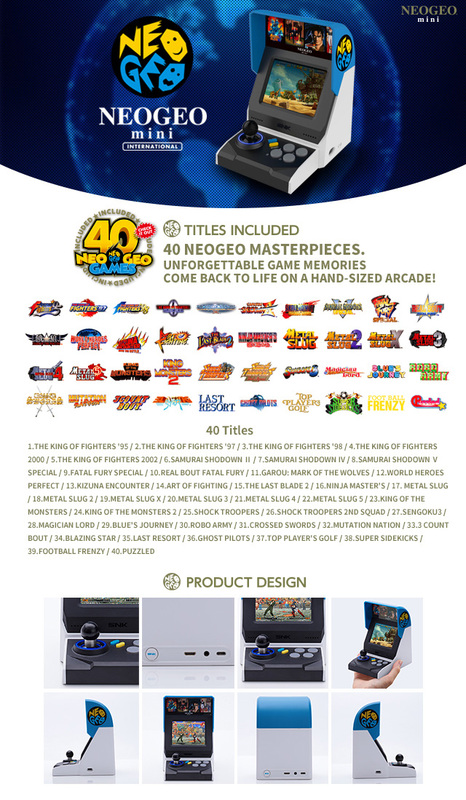 *Please note that design, and specifications might be changed with no prior announcement.